By Archen Baloch 10/012/2012 At the sacred altar of Chinese interests in Balochistan Pakistan military slaughtered more than nine prominent Baloch political workers under detention and dumped their tortured bodies on different location cross Balochistan during Chinese premier, Wen Jiabao’s three days visit to Islamabad after India on December 17, 2010. And surprisingly the state controlled private media was vigorously giving coverage to these massacres right after every bet of news of Chinese premier activities in Islamabad. The motive behind it was to show the Chinese that Pakistan is doing everything to protect the Chinese interests in Balochistan even if it has to flow the river of blood in Balochistan. Mehboob Wadhela and Master Arif were among the prominent bulwarks that stood against the Chinese imperialistic interests in Gwadar embraced the martyrdom. The very image of Pakistan, in Balochistan and outer world, is that of a mysterious serial killer that abducts, kills and dumps the bests of Baloch youths. Pakistani state relationship with Baloch People is painted with red blood. So far more than 360 activists have been killed under custody of Pak Army. And thousands of political workers are missing. Their fates are not known what have happened to them. All have been registered in the trusted books of world human rights organizations. Balochistan was an independent Baloch sovereign state. Pakistan invaded it on March 27th, 1948 at the behest of the then British Raj and forcefully annexed it against the will of Baloch People. Being left alone at the mercy of Fundamentalist Pakistani military, world community never paid any attention to the atrocities Pakistan inflicted upon Baloch nation ever since. 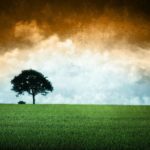 However, being a diehard nation it never disheartened them from seeking their lost independence. But what Pakistan doesn’t understand is that Baloch is a diehard secular natured nation. Even if it has deprived them of education for centuries, but politically Baloch are more matured and conscious than any nation in the neighborhood. This has unified them in the resistance movement. Despite spending rupees in billions in establishing Madrassas (religious schools) in Balochistan Pakistan failed to radicalize Baloch into a religious extremist society necessary to subscribe to Pakistani national ideology of two nations theory. Ideologically Baloch People believe that Pakistan is a fundamentalist state biased towards other religions and cultures. It always suppresses religious minorities and never tolerates cultural diversity, Therefore Baloch nation has become its cultural victim. 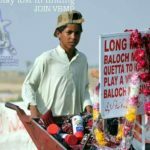 How far Balochistan has moved away from Pakistani state clutch is evident from the fact that if one read the articles written by Pakistani writers in the last three weeks regarding Balochistan crisis, one won’t fail to detect their fear and comprehension about how volatile the situation is in Balochistan. Baloch are more interested in seeing how much Pakistan is suffering from gas energy crisis and isolated from international community than the political and judicial quarrels in Islamabad. The constant attacks on Gas pipelines have generated ripple effects on Pakistan economy. One cannot simply ignore the social unrest in Punjab cities without linking it Baloch national insurgency. Being highly organized, the armed organizations of Baloch Sarmachars, the freedom fighters, namely Baloch Liberation Army, Baloch liberation front, Baloch Republican Army, have utterly paralyzed Pakistani ground troop’s movement in Balochistan in isolated camps and check posts. They are overstretched in the vicious terrain of Balochistan. Being a foreign force, it is totally alienated from general society of Balochistan. Their fighting morale is depleted by being constantly high alert against guerilla attacks. They are extremely vulnerable and exposed to guerrilla attacks because their enforcement capacity is hampered by long distances. Pakistani ground troops would capitulate to Baloch Sarmachars, the Freedom Fighters, within weeks if not within days if aerial support from international community was rendered to them like they did in Libya against tyrant Gaddafi forces. In An interview with BBC, the field commander of Baloch liberation Front, Dr Alla Nizer said they call for international support and added that their forces could be merged into a single entity whenever the circumstances allowed them. Now that Baloch national struggle for freedom has reached to new heights. In International media our voice is being heard. We have a just cause to pursue; that is the freedom of Balochistan from the unjust occupation by Pakistan. In the foreseeable future, we can see that the conflict between Baloch and Pakistan is going to intensify. So far Baloch Sarmachars have confined their operation and actions within Balochistan geography targeting Pakistani armed forces, the state’s institutions and installations of railways and gas pipelines and every sign that shows the existence of Pakistan on Baloch soil and the ISI agents spying for Pak Army, whether they are settlers or locals. If the situation was allowed to linger on like this and no intervention took place from world powers on the legitimate appeal of Baloch leaders, the human catastrophe will be highly extensive. And two things are likely to happen: first, being on edge, Baloch armed guerrilla leaders did not rule out the possibility of stepping out of Baluchistan’s geographic boundaries to carry out lethal actions against Punjab’s major cities such as Lahore and Rawalpindi. Even suicidal attacks could be an option, as BLA recently carried out it against Pakistani intelligence officers. The second, Pakistan all along has been putting the blame on India that Baloch insurgency is being abetted by India. Now given the near future events, Pakistan’s frustration will grow to a limit where it, out of sheer frustrations, starts harming Indian interests in different Place and time. It is a mystery why Baloch freedom movement is not being supported or opposed by world powers, despite the fact that Pakistan is committing vicious crimes against humanity in Balochistan, enough to prosecute it in Hague. So much so that it has wiped out an entire generation of Baloch leadership. The nagging question is how much American has compromised on Balochistan issue with Pakistan during heyday of their good relationship on terrorism? In Baloch political society and media it’s widely believed that the world powers would themselves intervene and come to Baloch aid at their own convenience, arguing that world powers are still disentangling themselves from Pakistani blackmails. Pakistani military and political establishment is more interested in courtship of a super power. During cold war Pakistan sought American courtship and exploited geostrategic situation of the region and suppressed Baloch and Pushton dissent voices. Our fear is that the same is going to be repeated here again, albeit with new Partners. With new geostrategic partnership Pakistan has started to seek defense pact with China and Iran. At the core of this new triangle strategic alignment lays the fear of Baloch freedom movement which has, all along, been calling for help from international community. Under Chinese strategic objectives Gwadar Deep Sea port is being prepared to establish bases for Chinese Naval ships. Under the disguise of Five Principles of Peaceful Coexistence, Chinese exploitation of Baloch resources sees no limits in Balochistan, from Gwadar coast to gold and copper rich Chaghi region, from oil and gas rich areas of Dera Bugti and kohlu to the beautiful mountains of Jahlawan for marble extraction. Pakistan has allowed China open access to exploitation of Baloch resources. According to a prominent Baloch research scholar, Sana Baloch “The resources here are being extracted by a Chinese company, without any independent monitoring for the past seven years. According to official reports copper-gold worth $633.573m were produced during 2004-08. The Balochistan government receives a paltry two per cent share, while half the profits go to Beijing and 48 per cent to Islamabad. The fortified Saindak project is a no-go area for the Baloch people”. Last word: Baloch deserve the right to know why the managers of world affairs are apathetic about Baloch crisis. Is it a tacit consent to Chinese exploitation of Baloch natural resources and an affirmative nod to Pakistani atrocities against the secular Baloch people? Pakistani Army suppressing innocent Balochistani very badly, people are tortured, some are missing, we should appeal from US, EU & West take serious note as humanity crises, autocrat behavior of Pakistan and its Army. More peoples killed, missing case in Pakistan as compare to Kashmir. That paradigm includes an anti-India policy for Pakistan, a pro-jihadi from pakistan who are able to manipulate and control a mob and make a lot of noise? Baloch brothers go ahead with struggle, sooner or later you will be winner.